GUM Crayola Kids Flossers | Sunstar Americas, Inc.
GUM Crayola Kids Flossers can improve oral hygiene by helping remove more plaque than brushing alone. 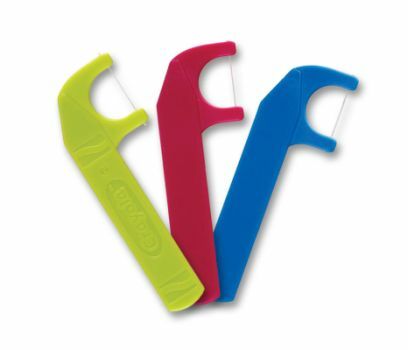 They feature small, easy-to-grip handles preloaded with high quality, shred-resistant, gentle dental floss. These fluoride-coated flossers are perfect for children learning to floss and make cleaning between the teeth fun and easy. They come in 3 fun designs as well as 3 colors and have a great grape flavor.